ICYMI, aluminum foil (that'd be aluminium for my UK friends) works wonders during servicing and for keeping errant fluid away from where it isn't wanted. Think about it: AL foil is moldable into any shape (instant funnel anyone?) and won't absorb fluid like a rag does. 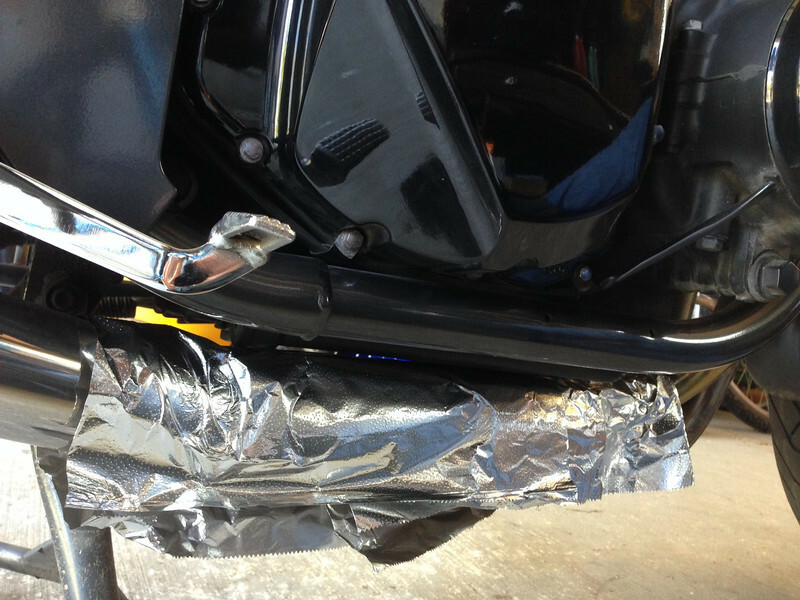 Many motorcycles have oil drain plugs or (like mine) oil filters located close to the exhaust pipes. Raid the kitchen, wrap your pipes, and never have to suffer the smoke and smell of old dinosaurs roasting on your headers during that first post-oil change ride.